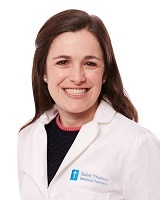 Allison is a Murfreesboro native with 7 years of experience as a registered nurse at Saint Thomas West and Rutherford hospitals. She graduated from Samford University in 2007 with her Bachelors of Science in Nursing and in 2010 from MTSU with her Masters of Science in Nursing Administration. She then attended Samford University where she received a Masters of Science in Nursing as a Family Nurse Practitioner. She enjoys spending time with her family, running, cooking, and spending time with her dog, Jack.